Saturday and Sunday’s weather looks promising for spending a day strolling through the wine festival at Jane’s Saddlebag. Wine lovers should make time to join us there for wine and good times. The times are noon to six both days. Whenever we are near southern Indiana, we try to stop at Huber’s. This describes many different things. 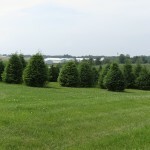 Huber’s is a farm and an orchard, where visitors can pick apples, strawberries, and many other fruits. 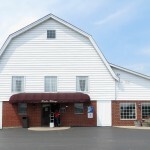 Huber’s is a farm store that offers a wide array of farm products, from packaged soup mixes to apple cider to jellies and preserves. 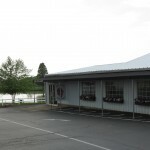 Huber’s is a bakery with mouth watering pies, rolls, breads, and cookies. Huber’s is a cheese shop and an ice cream shop. And, last but not least to a wine lover, Huber’s is a winery and distillery. While offering all of these products, there are also meeting facilities and a café. Our visit yesterday included stops at almost all of their shops. We bought wine, strawberries, packaged soups and beans, rolls, cookies, cider, and preserves. On our last few visits to the winery, we didn’t do a tasting, just purchased some grappa (a distilled grape juice) and peach nectar; but this time we noticed some new wines and decided to do a full tasting. We were glad that we did. Two of the new wines we tasted were Tannat and Malbec. Both of these are full-bodied red wines. As we enjoy the wines, I will be writing about them later. We enjoyed our tasting very much with a very knowledgeable wine professional. We discussed the wines and the grapes. After tasting the 2011 Heritage, he also gave us a taste of a 2010 Reserve Heritage. Huber’s Heritage is a blend of Cabernet Sauvignon, Cabernet Franc, Petit Verdot, and Tannat; and the blend is excellent. We enjoyed the tasting with the friendly help of Scott, Sandy, and Jenn. 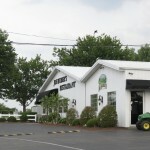 After the visit to the winery and the farm store, we traveled down the road to Joe Huber’s Restaurant and the Farm Store located there. The visit was wonderful, with a delicious meal and some ham purchases from the Farm Store. If you are near southern Indiana, I recommend a visit to Huber’s. You will find many different things to enjoy that also include family friendly pursuits such as wagon rides and a playground. It is one of greater Louisville’s premier tourist sites. 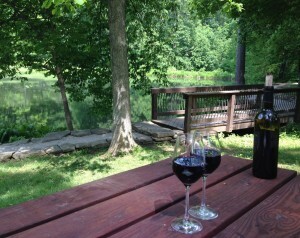 Earlier this week my husband and I celebrated our anniversary sitting under the trees, by the lake at Oliver Winery. As always, the visit was enjoyable. Late spring is a great time to visit the winery; the flowers were lovely, the weather was perfect, and the wine was very good. We enjoyed a tasting of several wines, poured by a knowledgeable young woman; but found ourselves enjoying our same favorites from the past the most. My husband enjoys their Shiraz. My favorite Oliver wine is their Sauvignon Blanc. A baguette, some cheese, and a bottle of wine in a beautiful setting. I can’t think of a prettier place to celebrate our anniversary. Wine lovers are in for a treat next weekend. Jane’s Saddlebag will be hosting its second annual wine festival on May 31 and June 1, from Noon to Six. Over twenty wineries, along with a number of vendors, will be participating. Last year’s festival was a success and this one looks like an even bigger event. Wine lovers who have attended wine festivals in Northern Kentucky before will find familiar wineries, as well as discover some new ones. There will be something for every taste. 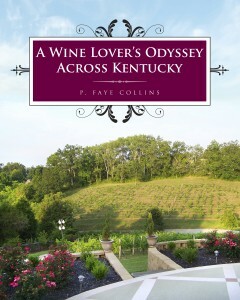 I will be there both days signing copies of A Wine Lover’s Odyssey Across Kentucky. Hope to see you there. On Saturday, Philip DeSimone, owner and winemaker of Grimes Mill Winery, welcomed many visitors to celebrate their first Triple Crown of Wines, the 2012 Reserve Malbec. 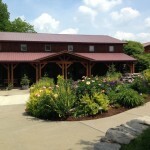 The winery entertained visitors with an afternoon of wine, food, and music by the Troubadours. The Reserve Malbec was worth the wait. Malbecs tend to have jammy aromas, inky colors, with mild tannins. Ca’ DeSimone’s Reserve Malbec, made with Kentucky grapes, is a full-bodied, robust, deep, red wine with flavors of cinnamon and blueberries. 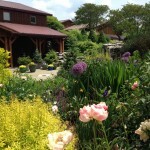 The supply is limited, so my recommendation to wine lovers is to visit the winery early in the summer. We spent a relaxing afternoon with a great bottle of wine and wonderful renditions of some of our favorite old country songs.